The AMD A6-1450 is a mobile quad-core SoC for compact subnotebooks and tablets introduced in mid-2013. In addition to having 4 CPU cores with a base clock speed of 1.0 GHz (turbo up to 1.4 GHz), the 28nm chip also integrates a Radeon HD 8250 GPU, a single-channel DDR3L-1066 memory controller and a Southbridge with various I/O- ports. Both Kabini (for notebooks) and Temash (tablets and compact subnotebooks) are based on AMD's new Jaguar architecture, which replaces the previous Bobcat models (e.g. the E-350). According to AMD, the performance per clock has been increased by about 15 percent. Furthermore, various modern instruction set extensions such as SSE up to version 4.2, AVX and AES are now supported. The finer 28nm production process from TSMC allows lower voltages and/or higher clock rates compared to Bobcat, as well as support for 4 CPU cores. Due to the low base clock speed of 1.0 GHz, the performance is modest in applications with poor parellization support. Even in Turbo-Dock mode (1.4 GHz) the A6-1450 will hardly surpass the old E-350. 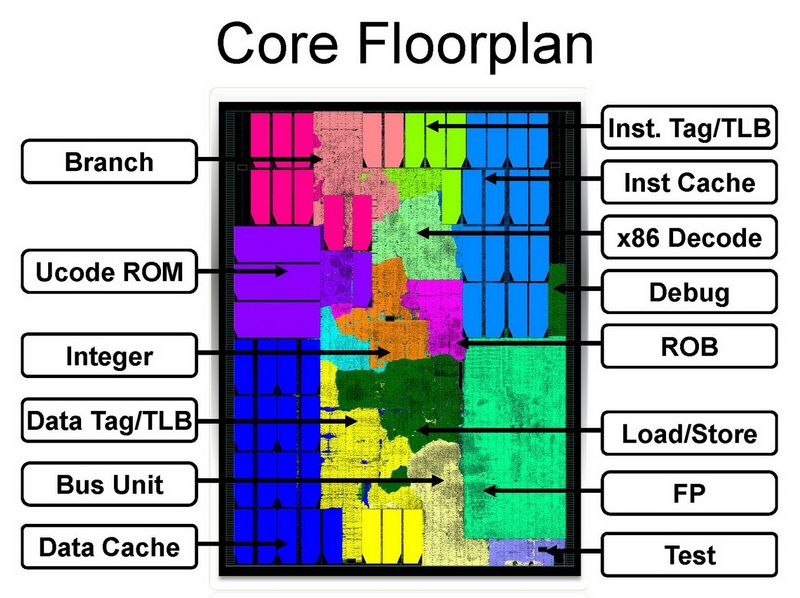 However, if all 4 cores are utilized effectively, performance becomes similar to the Arrandale-based Core i3-380UM. For basic office and multimedia tasks, the A6-1450 has sufficient power; however, it will quickly reach its limits in more demanding software. The SoC integrates a Radeon HD 8250 GPU with 128 shaders based on the GCN architecture. The clock rate of 300 MHz can be raised up to 400 MHz in Turbo mode. At this clock, the HD 8250 matches a Radeon HD 6450M or Intel HD Graphics (Ivy Bridge). Recent games as of 2013 are therefore hardly playable. However, older and less demanding games will run fluently. The power consumption of the entire SoC is rated at 8 Watts or up to 15 Watts in Turbo Dock mode. Thus, the A6-1450 is suitable for slim subnotebooks or larger tablets. The AMD A4-1350 is a mobile quad-core SoC for compact subnotebooks and tablets introduced in mid-2013. In addition to having 4 CPU cores with a base clock speed of 1.0 GHz (no turbo), the 28nm chip also integrates a Radeon HD 8210 GPU, a single-channel DDR3-1066 memory controller and a Southbridge with various I/O- ports. Due to the low clock speed of 1.0 GHz, the performance is modest in applications with poor parellization support. In this case, the A4-1350 will hardly surpass the old C-60. However, if all 4 cores are utilized effectively, performance becomes similar to the Sandy Bridge based Pentium 967. For basic office and multimedia tasks, the A4-1350 has sufficient power; however, it will quickly reach its limits in more demanding software. The SoC integrates a Radeon HD 8210 GPU with 128 shaders based on the GCN architecture. Clocked at 300 MHz, the HD 8210 matches a Radeon HD 6430M or Intel HD Graphics (Ivy Bridge). Recent games as of 2013 are therefore hardly playable. However, older and less demanding games will run fluently. The power consumption of the entire SoC is rated at 8 watts. Thus, the A4-1350 is suitable for slim subnotebooks or larger tablets.